5,100 victims through 3,500 cases. 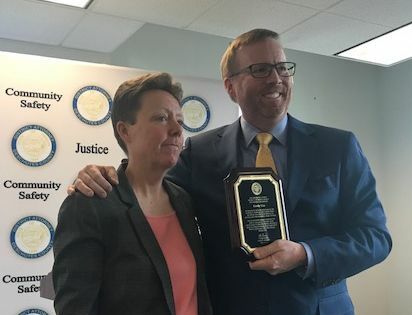 He honored Search and Rescue volunteers, saying speed is often key to their success, "You know, how quickly the person can be found; or, once they’re found, how quickly they can be rescued. Because finding takes a while. This team will tell you, when you find someone, you could find them down a ravine and it could take a few more hours to actually rescue them." 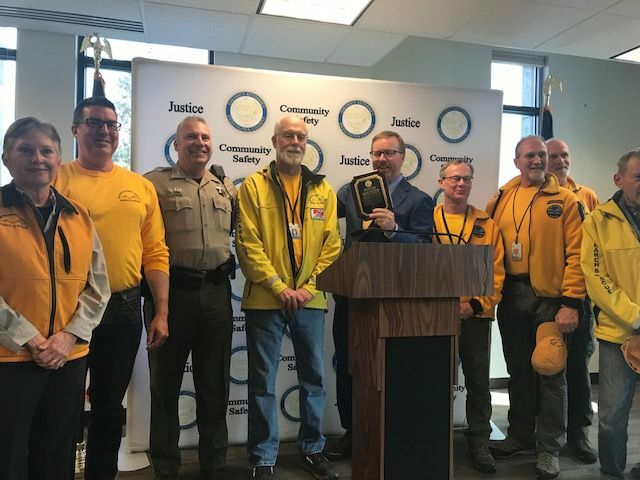 Sheriff Shane Nelson accepted the award on behalf of SAR staff and volunteers, "These folks are out here volunteering their time every day, to go out and search and rescue folks, and as John mentioned, search for critical evidence in cases." Oregon Tri-County Major Incident Team (pictured above), "The team is comprised of law enforcement agencies from Crook, Jefferson, Deschutes and Warm Springs. The last two years, they worked tirelessly and they worked passionately to find Kaylee Sawyer and to bring her killer to justice. I tell you, those first few hours and first few days, no one slept on that team." Sawyer was killed in Bend in July 2016. Hummel says the Major Incident Team's work led to the recovery of her body in Redmond a few days after her disappearance. And, he credits the team for the life sentence Edwin Lara is now serving for her murder. this journey, and I view them as gifts my daughter has sent me. And, this team of advocates is definitely one of those gifts. 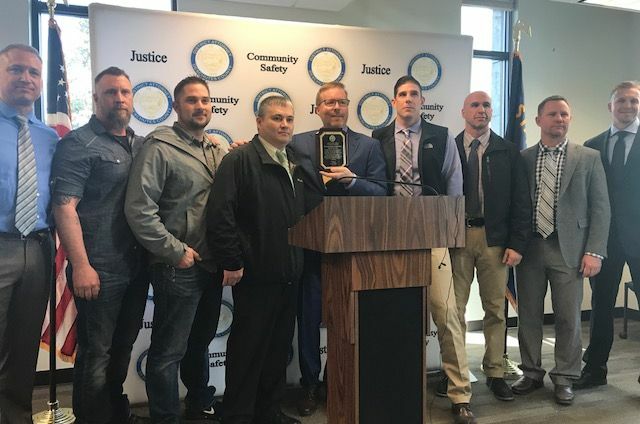 When something like this happens to your family, you want the law enforcement officers and the D.A.s involved in this case to understand that this is not just a case; this is your daughter. I never had to remind this team of that." 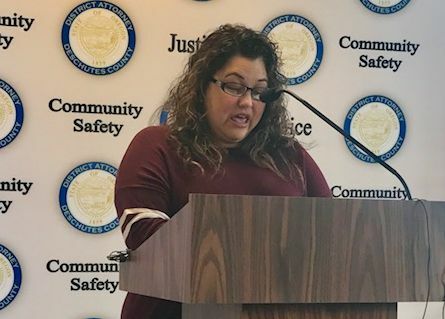 She says she talks to other parents of murdered children who don't have the same help available to them, "Sadly, not all counties have victims’ assistance. When you lose a child, you find yourself having trouble just breathing. When breathing becomes too hard, how are you expected to navigate this new scary journey that you did not choose, you did not want and you would give anything to change?"